Get ready for Belle & Sebastian’s take on love | Will You Miss Me When I'm Gone? Scottish twee band Belle & Sebastian are well overdue for a new album. Fans have really missed them and have been hoping for great things from Belle and Sebastian Write about Love, due out on Oct. 12 on Matador. Will You Miss Me When I’m Gone? has long been a big supporter of B&S. 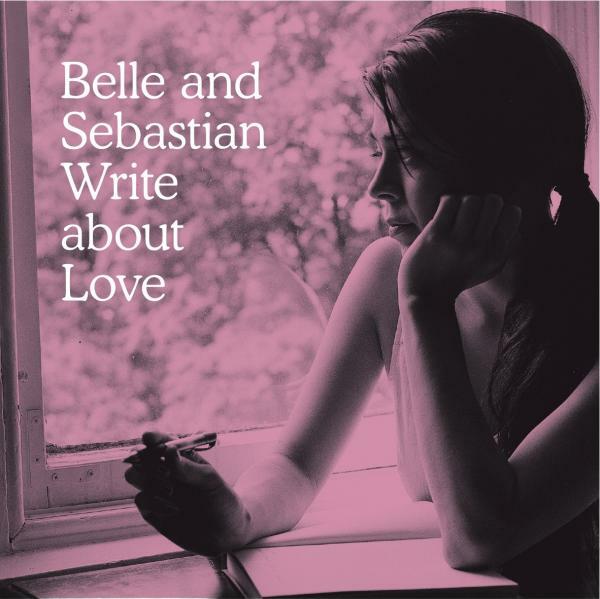 We’ve been listening to some of the tracks from Belle and Sebastian Write about Love that have been leaking on the internet. But do they deliver what fans hunger for? Read on to find out. They’re tuneful and pleasant, but our sense so far is that the new album is breaking no new ground. A couple of close listens suggest that we’re getting a collection of numbers that could be outtakes from the last B&S album, 2006’s The Life Pursuit, and some tracks lifted from B&S frontman Stuart Murdoch’s all-consuming side project, God Help The Girl. It’s good. It’s entertaining. It’s sometimes even touching. But it feels more than a bit like somebody realized how long it had been since B&S had made an album decided it was time to get something together quickly. We here at Will You Miss Me … won’t know for sure what we think about the new collection until we’ve had a chance to listen to the whole album. And if anybody from Matador is reading this, please send a promo copy or a download link posthaste so we can be convinced! In the meantime, here’s a nice bit of video to give you a taste of the new stuff. Stuart has been very busy in the four years since the 2006 release of The Life Pursuit, the last collection of new B&S music. His main project has been God Help The Girl, sort of journey of musical discovery in which Stuart recruited and worked with young female singers, making an album, some singles and, eventually, a film about the whole thing. God Help The Girl is a story written by Stuart Murdoch, which is in the process of being turned into a film, and which has already yielded a self-titled album, an EP (‘Stills’) and a handful of live shows. With a further single due in 2010 and work on the film beginning in 2011, the site will document the journey from the original concept to the finished film. It seems a bit self-indulgent, but the music that has come out of it has been good and the singers are awesome. What we’ve heard of the new B&S album so far sounds cut from the same cloth as God Save The Girl — down to guest vocalists Norah Jones (her track, Little Lou, Ugly Jack, Prophet John will also appear on her next CD, … Featuring Norah Jones, due out on Blue Note a month after the B&S disk) and Oscar-nominated actress Carey Mulligan, who sings the title track. We’re looking forward to seeing the band at The Williamsburg Waterfront (run by the Open Space Alliance for North Brooklyn) on Thursday, Sept. 30 so we can get a feel for how B&S is handling the new material in performance. If you’re going to the Waterfront show, make sure you’re there early. Gates open at 5:30 p.m., and shows are required to be over by 10 p.m. because of the venue’s proximity to the pricey new housing in the ‘hood. As of this writing, the show is not sold out. Tickets cost $48.60 will the fees, and are still available through TicketMaster by clicking here. It’s hard to predict exactly how deep B&S will dig into their catalog, but you can be sure there will be some surprising and amusing moments. And here’s hoping they will win us over with live versions of the new material. This entry was posted in Concerts, Music, News, Pop and Rock, Recordings and tagged Belle & Sebastian, Carey Mulligan, God Help The Girl, Matador Records, Norah Jones, Sarah Martin, Stevie Jackson, The Williamsburg Waterfront, TicketMaster. Bookmark the permalink.